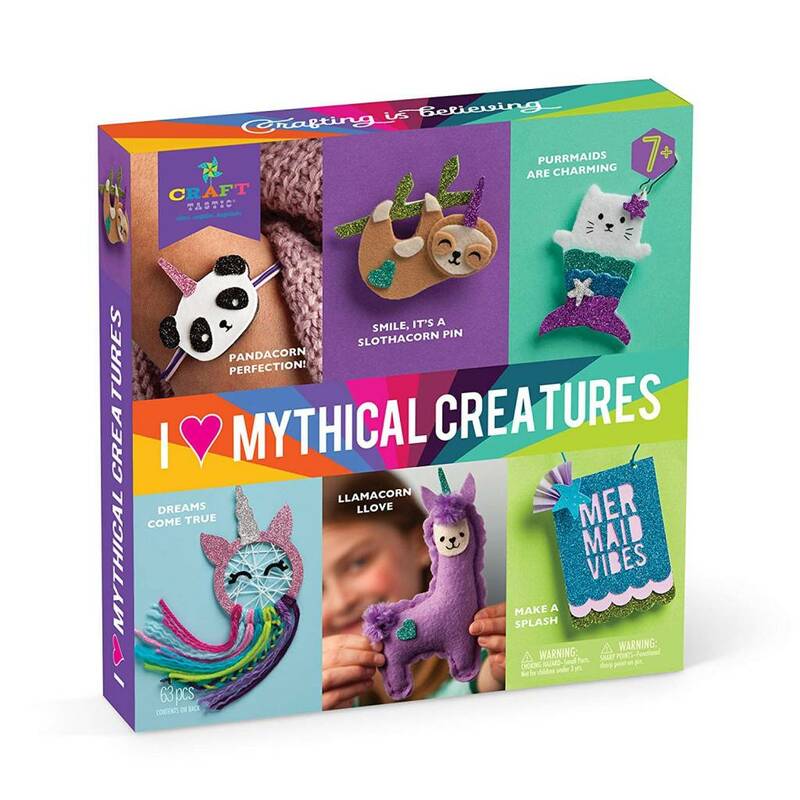 Mythical, magical crafting fun with everything you need to make six colorful creatures. 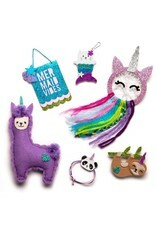 Craft these cute and cuddly mythical creatures: a pandacorn, slothacorn, unicorn, llamacorn, purrmaid, and mermaid. 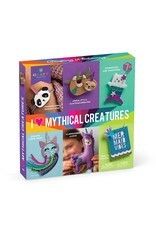 Totally fun to make and show off, these six fantasy crafts give a child something truly wonderful to believe in—the power of imagination. 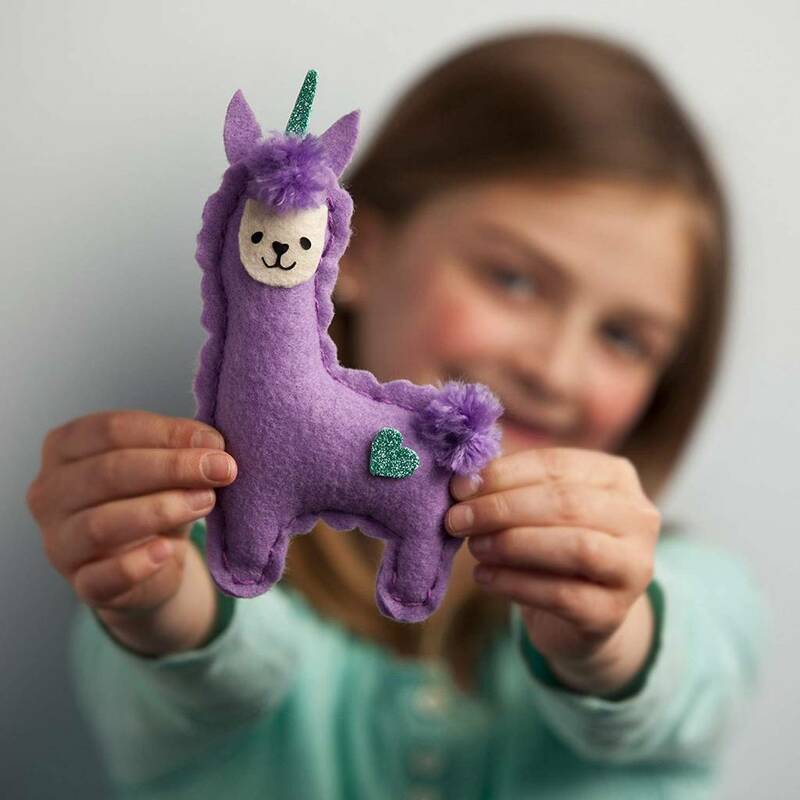 Making these trendy and cute creatures requires a little patience, but should be easy enough for anyone who has done arts and crafts before. When done, you’ll have something wonderful to believe in and share with family and friends. 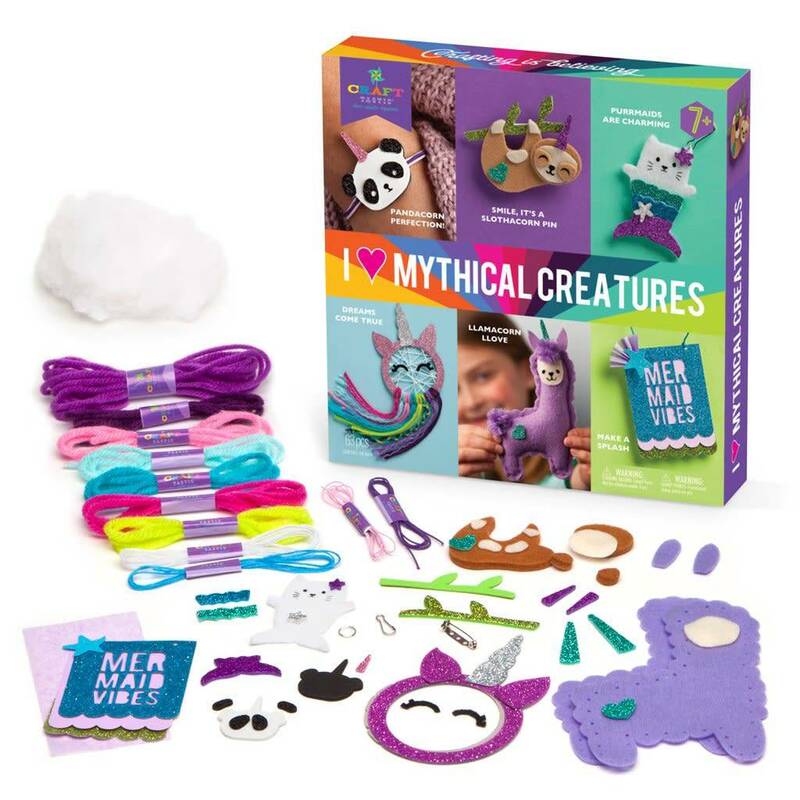 This 64-piece kit contains everything you need to complete all six projects. No special tools or extra materials required. WARNING: CHOKING HAZARD. Small parts are not suitable for children under 3 years of age. 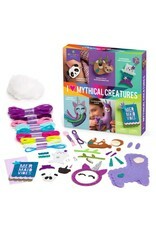 Started by Sheila Wright and named after her two children, the Ann Williams Group invented the revolutionary weaving loop kit Loopdedoo, a unique way to make friendship bracelets. 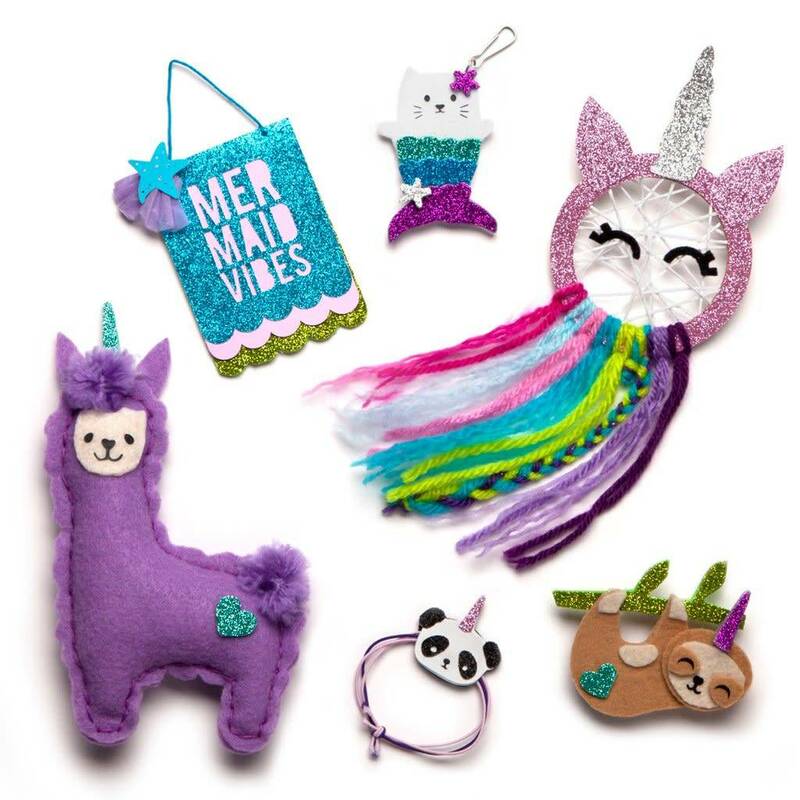 The company now makes a variety of cool crafting kits and sells products across the globe. 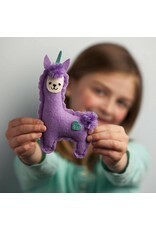 Crafting is more than just an activity. It can emotionally transport kids out of challenging situations, teach them about creativity and productivity, and be a truly joyful, satisfying experience.